ApriPoko, this unbearably cute remote control from (where else) Japan can tell when you’re using another remote control, and actually asks you what you just did. You tell it (for example, “I turned up the volume on the TV”), and it records the infared signal that the other remote sent out. Then if you later tell ApriPoko, “Turn up the volume on the TV,” it emits that exact same infrared signal to the TV! Posted by Christopher Grant Harris at 9:50 pm. 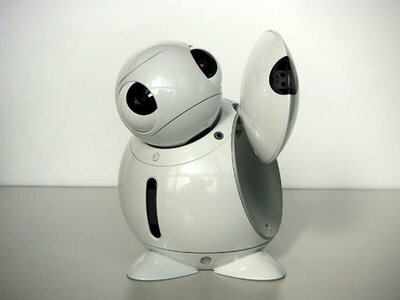 « Previous Post: Heart Felt Robots == Cute!